11/12/18 – Our client, The Beck Group, just won the prestigious Design-Build Institute of America’s 2018 National Excellence Award for Healthcare Facilities. This project was a complicated steel and glass structure, with multiple floor and roof offsets, various cladding materials, and a short deadline. 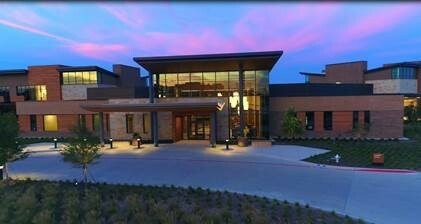 Located in Mansfield, Texas, the 70,000 square foot, multi-level facility offers alcohol and drug rehab in a luxurious setting designed for both inpatient and outpatient services.